QuikcBooksPOS is a online solution that works with QuickBooks and is tailored to your business needs with managed inventory, anytime acces online, and automatically deposited payments into QuickBooks Online. "Basic works well for my small business"
I like that it helps me keep track of inventory and keep track of what customers have bought in the past. Easy to use for the small amount of retail that I do in my office. Make sure that the basic POS is what you need. Certain businesses will need the Pro version. FAQ will provide a lot of info to help you decide. I can keep track of my inventory and keep details on transactions and what customers buy. This helps me to decide which inventory to keep in the office and which inventory to get rid of. This tool is very easy to use a very user friendly and understandable software that allows the user to manage a variety of financial records, so it facilitates the accounting processes, an aspect to highlight is that with this program the data must only be entered once. in the system of the company, there is no need to do anything else because it is maintained in real time, which means fewer hours of manual work and more efficiency. Additionally it allows for faster workflow from the point of entry to the invoicing phase, allowing the company to charge faster and increase cash flow, making it a fundamental integrated accounting tool. It is an excellent tool and obtains good results immediately, and serves companies in various fields, online stores that sell products online and then must record sales data in accounting, and large construction companies that use complex work order systems, among others, any company that requires or needs a tool that facilitates accounting processes can use it, is very good and is 100% recommended. The company donte trabajo is a construction company, I belong to the administrative area so we use QuickBooks to manage system orders, accounts payable, accounts receivable, supplier databases and customer databases, which benefits us greatly because it is an automated program and facilitates the work in the amount of man-hours invested in accounting procedures. What Retail POS solution do you use? "Quick Books Desktop POS Keeps my Museum Store Organized and Up to Date on Payments"
Quickbooks truly does do it all. Beyond enjoying its capacity to handle incredibly large caches of data for our inventory, vendor information, shipping information, billing information, etc. and still run lightning quick, I greatly appreciate its 'idiot proof' approach to updating prices, completely inventory adjustments and alerting me to problems -- wherever a discrepancy occurs, Quickbooks will send a pop up banner to alert me and provide several solution options. 1) Quickbooks does tend to repeatedly crash and freeze up on our servers if it goes just one or two days without installing just-made-available updates. 2) Thus far, Quickbooks has been incredibly difficult to integrate with Shopify or other e-commerce platforms. Apps we have considered to link our Quickbooks to Shopify and track both in real time cost around $500 a month, for example. Carefully consider how many licenses of Quickbooks your organization will require. If the answer is more than two (i.e, you will need to have Quickbooks running on more than one computer at a time) consider acquiring a less expensive alternative (POSsum point of sale, as one example, or Square) to stay paperless when it comes to customer info, inventory and transactions. Quickbooks is a robust software that makes everything from remembering patrons' memberships to creating discount pricing for a block of products to sending monthly consignment reports to our artists to running twice annual inventory counts relatively simple, even for those that haven't used it long. I highly recommend it. "QuickBooks POS is simple and user friendly"
Very simple and easy to use for non-tech people. Intuitive design and options make it easy to figure out as you go if needed. Easily create and delete items, orders, service requests, etc. Also syncs both store locations very easily with very few issues. Crashes every now and then. Also wish I could tab between different options without having to back fully out of a project. For example: If I am editing an item in the item list, and then want to check a purchase order, I have to back out of the item list instead of being able to tab between the two options. This product is great for small businesses and allows you to create and edit your own skus, generate purchase orders, make layaways and sales orders, as well as many other functions. The only thing that frustrates me is that I can't tab between projects easily; for example: if I am in a purchase order and want to double check that an item is on a sales order, I have to completely back out of the purchase order, I can't simply switch between the two. As a small furniture and interior design retail business, we use this for all of our business transactions, from selling a placemat to coordinating orders for entire hotel design projects. It is simple and very intuitive to use, even as a computer-illiterate person! We are able to store notes on each of our customers and each of our vendors which saves a lot of time when customers call in about orders or when needing to reach out to a vendor. Everything else, it was really difficult to connect it even with Quickbooks itself. We sent more than 15 hours a week just trying to work with the support via phone, it was useless, not even them could fix it. I thought it was going to be a great product since its Intuit's, I was very dissapointed. They offered another solution via another program they are offering, but it was way too expensive, the price was prohibitive! As of, today the problem couldn't been fixed. So it was a waste of money and time. I don;t recommend it at all, it was really frustrating the mount of hours wasted trying to make it work, even with their help. We were trying to have it available for all the stores and with the mobile-stores too. "Quick books definitely makes my job go much faster and easier. " Quick books allows me to easily search customers and all the information we have on each one. I can find their location, phone number, email address and much more just with a few clicks. I love that i don't have to make my customers wait more than 30 seconds to pull up their account in our system before continuing to help them or take their order. I do not appreciate when my system crashes on me, especially when i'm in the middle of printing my invoices for the day. It is time consuming and sometimes it happens when i am helping a customer. It will make your work day simpler and more efficient. You should definitely give it a try because of how simple it works but also it isnt hard to learn how to use. Instead of mailing a customer an invoice, i can easily email the invoice right through my quick books system. I like how user friendly the pos is. It does not take a long time to learn how to use it. There are a lot of diffrent tools you can use to keep the company organized. I have not found anything that i disklike, it all has been very helpful for me. Keeping my inventory organzised and making it so easy to make sales and keep records of what is or what is not selling. The theme is very outdated, looks like something out of the 2000’s. Reminds me a lot of windows xp in terms of theme. Could use a face lift. Also a bit complicated to navigate and change certain settings, a search bar for settings would be very helpful. I like the fact that the item lists are in alphabetical order. That’s about it. I dislike that different stores within POS do not communicate with each other (meaning I cannot search one customer’s history in each store and find the same content). I also dislike the fact that when searching for customers, sometimes the customer name does not populate unless you go to customer list. It’s annoying. We are helping solve inventory issues, but again the trouble with not being able to communicate the Same info in between stores. "Great easy to learn POS Software"
I have been using Quickbooks POS software for about 3 years. I have been the manager for the retail store and I had previous QB experience. I have found the QB POS easy to learn and easy to teach others. Teaching others is the main thing that I have really liked. do all in one such as credit card processing. Keep it simple. do not do outsourced credit card processing. Easy to do all transactions such as credit cards, end of the day cashup, we are able to import to the quickbooks desktop software. makes things easier at end of month and end of year. As a newcomer to point of sale systems, I think that quickbooks is relatively easy to use and learn. It is relatively straightforward when navigating through the different tabs. The POS used to freeze fairly often, and we would have to restart Quickbooks. Occasionally we would have to reach out to Quickbooks support due to glitches, and they would be hard to reach. However, it has been easier to get assistance recently. Also, sometimes the clocking in and out feature freezes, which can be problematic for employees that have busy closing or opening shifts. Overall, I think it is a good choice for POS systems if you are using other forms of Quickbooks software for easy integration of data across your business. Use the POS system to track basic inventory/sales/etc. and connect with the Quickbooks accounting system. While I do not have a point of comparison with other POS systems, my coworkers report that it was easier to use. "The new features are game changers"
QuickBooksPOS's newest version features auto payment reconciliation, improved data security, better performance, and time-saving features. The most important feature of this point of sale system over a different point of sale system is that this system obviously integrates well with QuickBooks accounting software. The most recent updates have materially improved the performance of the software although many of the update by Intuit are backend improvements rather than interface updates. Customer service and support is rather limited and not always available. A listing of those issues include that help is often only available during normal business hours, there is often a lengthy queue, and the assistance that is granted is rather generalized. Also, and as mentioned above, this software doesn't make much sense for business that does not use QuickBooks as its main accounting software because it works best when fully integrated with QuickBooks. Be sure to spend the upfront time and expense to set everything up correctly instead of later needing to fix your accounts. Most frustration with QuickBooks stems from the difficulty in changing accounts in order to create the look and feel of reports that the end users expect. This area of possible frustration is best mitigated by thoughtfully initially creating and establishing the set of accounts that will be used. QuickBooksPOS helps my clients enjoy a comprehensive platform that allows them to enter cash and credit card sales, manage relationships and orders with vendors for inventory, and limited customer relationship management. "Quickbooks for a Small Business"
I like how easy and instinctive the software is to use. I'm not great with technology, and it is really simple to use. I'm still digging deeper into everything the software will allow me to do, so this may change, but as of now, there isn't anything about it that I don't like. I got away from using it for a bit, but I plan to return to the software to start 2018. Talk with other people who have used it even long than I have and see what they say. I bet they will be supportive of it. The biggest business problem I have solved is that is has made tracking my finances much easier and more streamlined. In turn, I know I am not missing expenses and revenue which, come tax time, will be a huge benefit for me to have more accurate records than I have in the past. "Great POS system for small businesses"
This POS system is one of the best in the market, it provides a wide range of features that will expand your business. I use it mainly for a clothing store and some of the features like inventory and invoice generator are really good. The fact that is lags whenever the items reach 10K is a bummer. At first I thought it was my PC but it wasn't. Quickbooks POS includes a loyalty program feature, that keeps track of current or new customers and saves all purchases that have been made in a range of time. It quits a lot and is quirky in operation of it. It does the job well enough, but it was lacking in some areas so I am shifting to another software. We use it to keep track of income and remind customers. It is very accurate and has a good tracking tool with it. "Lots of functions available, but not always user friendly"
The basic tasks like "make a sale" are easy to get to and user friendly. If you change a customer from a "company" back to a regular customer and a sales order is already been made and a deposit has been placed, the whole sales order becomes messed up. It will not allow you to change the customer but it also will not allow you to take the remaining deposit or do any other tasks. It has happened on multiple occasions because when we import customers from outside programs for some reason it tracks them as a company. I would also like to be able to put images into the inventory list per item -- it helps customers see what they are actually ordering and would also help new sales people to be able to look at an item in inventory and then be able to find it in the showroom. It has helped to keep better track of inventory. We can now also track what is the best sellers, track sales by what is sold through cash and carry versus through special order. "Quickbooks POS makes sense and cents!" Once setup this application will do it all! Inventory? Check. Reports on your best sellers or most profitable hours of operation? Check. Is Sally making all the upsells she can? She isn’t! But check! Tedious inventory system that with multiple locations does not play nice! You can only enter new items at the headquarters? Why? A real business needs a real piece of software that runs on a reliable real computer. There’s no better option than this. The “iPad” reliant POS systems aren’t future proof and if hardware breaks or an iOS update breaks something your business suffers. "Pretty Good out of the Box System"
lack of a good mobile solution/sync. The GoPayment app is pretty useless. If we lose internet connection we are using the GoPayment app to take payments but it doesn't sync properly with our large inventory on the desktop POS software. If you need to use it in a mobile situation, we have a tablet with a 4G connection running remote desktop software to get into QuickBooks POS. We then use a Bluetooth Bar Code Scanner to connect to the tablet. quickbooks lets us save customer contact information which is very helpful when needing to reach out. i also love that we are able to check our inventory with ease. it is great to be able to see what we have at both locations of our store and easily let a customer know if an item is in stock. sometimes quickbooks lags or just fails to load what i am looking for, when this happens, our customers think we are uninformed but it really is just the older version of the program that we are using. ease of use when it actually works. it is very easy to save notes on customers in their profiles which i love. I like the overall customer service associated with the program. 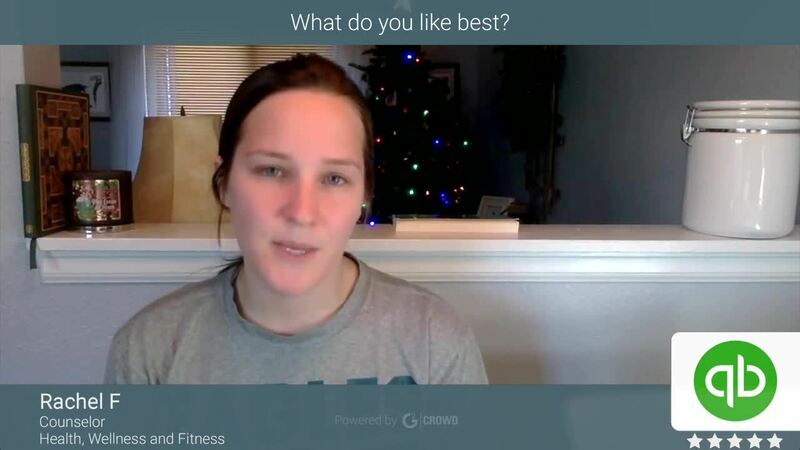 I have had some questions which have been answered in a very short amount of time and it did not takeme a long time to get in contact with somebody who was able to answer my questions. I think that the website is great for all affiliates however, I wish there was more of a focus on the overall management chain. I find the lack of a streamline design to really be disappointing and complicating to use. This design does not allow the users to focus on the material but instead the user has to work on understanding the application and then going through and re-evaluating the data. I recommend taking a few days or even a week just to get acclimated to the program. It is a very confusing interface to use and I have a lot of colleagues who still do not understand how the program works and what exactly it can do to ease the process of analytics. I think that this program has allowed me to opportunity to grow and understand more about the corporate world. Using a survey webpage is great because it allows great communication between both customers and the professionals managing and inputting the data. "Just what you need for retail "
Massive system allows you to fully organize and customize entry of items, organize departments and run reports on your best and worst sellers. You can look at full histories of items and keep receipt and customer records from the day you open. Lack of customization in the sale window. I would like to see more button options. And an increased view size on larger monitors. Finding customers old receipts is easy with this software. You can look up individual items or the purchase date or the customers name. No receipts needed. "Lifesaver for On The Go"
I can access QB online from any computer with ease, as well as use my mobile device. The ability to go anywhere means I can easily access information in case of emergency. Once I had to send an invoice to a client ASAP and I was at a mall. All I needed to do was jump into the nearest computer store, log in and complete the task. The security of the program did not have me concerned as the cookies were easily deleted. I wish the app was a little clearer but overall I have no complaints. Being able to do work on the road is incredibly convenient and I am happy to have a tool that offers such ease of access. When using the card payment system I created a user for someone to access only that system. When this person needed to access the rest of QB Online there was an issue with the username being created in one location and not the other. It would be great to have that bug fixed but this may be an older issue from somewhere else. POS is convenient to anyone who may not be tech savvy. It is easy to navigate through and there are many tutorials available if needed. I have use the complete AR/ AP system as well as budget building, reconciliation, payroll and all the reports that go along. The ability to auto create most transactions for customers as well as use the payment feature made my business much easier to conduct. It allowed me to focus on the future of the company rather than the daily moments. "I am a QuickBooks ProAdvisor"
I love that it has been improved on for over 32 years and I own every single year since DOS. I am able to support my clients on it, and help them to run their bookkeeping for their small business. Intuit is always pushing that horrific QBO and my clients and I hate it. I have a contest every year to see who can take the most clients off of that version. The desktop is far superior and most corporate small businesses are on it. "Gets the job done for payroll time"
It is easy to learn. I never used it before and was worried when hired and learned quick books was the way we had to manage everything with payment. I also like the accuracy. I dislike that there is a lot going on, although it is easy to use for what I need it for the other aspects of it are a bit all over the place. Keeping customers organized is a huge problem we solved. QuickBooks point of sale system is simple for adding in items for the invoice. You can export it and bill from the software, or simply use it like a register for payments and billings. While the features are what you need, the software is simply not user friendly. Think using a droid vs an iphone. simple design of layout and placement of items would make it much smoother to use. Has the features you need but not the simplicity. Used it as a pos system. Helps me get the job done and stay organized. It's not the best program out there, but it's very pricey to switch, and this integrates to Quickbooks fairly well. When receiving items, it does not save a cost you enter. It uses your last cost. If you have freight separate from the item cost, you can add it to the invoice but have to split it on the Quickbooks side--you can't on the POS side. The comment section for customers is not long, and there is not a spot to have the customer profile with selling notes. The note section has a very small limit for number of characters. It also locks up a lot and tends to run slow when pulling a customer's order history. We have had to upgrade our computers twice now just to run the programs. Inventory control, managing open POs, and processing sales transactions. QuickBooks is user friendly, easy to use, and combines so many services into one spot. You can take care of all aspects of accounting and customer care in one place! I am not a big fan of having to upgrade your system every 3 years in order to maintain payroll functions. I highly recommend Quickbooks. I have used a number of software in my lifetime and nothing compares to QuickBooks. We use QuickBooks in order to take care of all accounting in house. We do our own payroll, accounts receivable, accounts payable, etc. "Great, just a little clunky"
I love the way that the inventory is organized; it is really easy to navigate. There are only a few features that I do not like, primarily the ones where you have to go in a circle to get a simple process done. I think that it's a great software. I used it in the past to organize and do an inventory, in addition to using it as a Point of sale system. We purchased Quickbooks POS because we have a small retail shop connected to our large print shop. Our print shop uses Quickbooks Enterprise and we needed a POS system to connect easily, which Quickbooks POS does. It has all the things you would want in a POS: inventory management, checkout system, connect to a scanner, barcode printer, layaway options, plenty of reports and even a timeclock. We've had some issues with it. You can only use a connected card swiper if you use their merchant services, which is more expensive for us as our bank gives us special discounts. We've had database failures and lost days worth of receipts and inventory changes. Checkout has several unneeded popups which slow down the checkout process if you have a long line. Backup off-site! We had a datebase failure and we weren't backing up at the time and lost two weeks of data (inventory, time clock, receipts, etc). Back up, back up, back up! We needed a solution for our retail floor, and we appreciate having a software that seemlessly connects with our financial system, which is Quickbooks Enterprise. 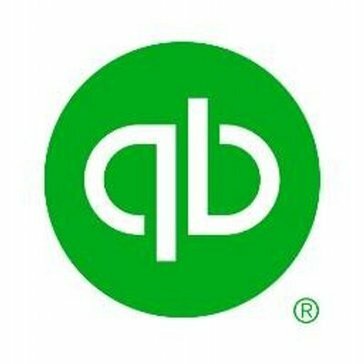 For anyone looking to connect with Quickbooks financial, this is a good option. "Great Product trusted Brand! " The best part of using the product is the brand it falls under as well as the ability to link to Quickbooks directly. I don't have many dislikes for the product. We no longer use it but it was great and comparable to having a big CPU register! Saves on maximizing opportunity. Your able to link back directly to Quickbooks and there is no need to import data. I love everything about it. I haven’t had any issues that weren’t able to be fix in a timely manner. Keeping track of invoices for payments. "User-friendly software that is even great for those who are not familiar with bookkeeping"
I like how easy it was for me to pick up where my predecessor left off. My company had different branches that all had to be tracked, so the ease of switching between payable and receivable accounts made was a tremendous advantage. I am not particularly fond of how data entries input on older versions change when you try to compile all the sales, payments, etc on a newer version. While this can be avoided by maintaining the newest version available, my company chose to work with an older version for quite of few years, and then update. Give the trial a shot, and you will love it from there. This product allows me to track all my sales and payments of my company's separate branches to better understand how well my company is doing. The benefit of this system is that I can see what parts of company are causing profit loses and what exactly the reasons behind that are. "quickbooks helps manage your books quickly"
This is the standard in bookkeeping and it's ease of use is refreshing. Various updates have stabilized any bugs it previously had so I have no complaints really at this point. If you're in a bind and need to choose, quickbooks wont do you wrong. Although you can easily get used to the product, there are still ways I'm sure to ease a novice into all the processes of the software. Maybe an even more dumbed down approach would work? Try it out if you are starting from scratch. This might be the thing you choose in the long run. Quickbooks is a well known name but that is for a reason. They have a way with working well with businesses of all sizes, min being of a smaller size but ultimately this works across the board no matter what size. Trust the name, give it a try. Everything from bookkeeping to expenses are managed nicely and clearly. It's a nice benefit to have everything organized and clearly stated in front of you. These guys are a well known brand for a reason. Novice users will not stress out getting started with QuickbookPOS, intermediate users will be satisfied and pleasantly surprised, and expert users can even be surprised with the sophisticated range of use they will find and tasks they can accomplish with this product! It helps with centralizing information. Using 3 different payment systems can make things difficult but QB helps me put it all in one place. "Love how easy to use it is!" Kept accurate inventory and was able to compare prior daily and yearly sales. Love that my employees could clock in and out through QuickBooks POS. Could print reports for taxes and was easy to use! Price, seems high but for everything it does it was worth it. Saved me from useing an accountant and paying someone else to keep my books. I was able to do it all myself. This is great for a small business since it is easy to set up and use. Was able to keep track of inventory and ring up sales all on it! Taxes, I was able to use the help button to walk me through the correct taxes to charge when ringing up customers and what to take out of my employees paychecks. "From POS to Full Cycle Accounting"
Previously we implemented the QuickBooksPOS for our retail organization. As a fan of QuickBooks Enterprise, QuickBooks POS was just as good and well received by our users. It was easy to train all of our front line staff to use the system. Standardization also helped enable efficiencies for our check out process. 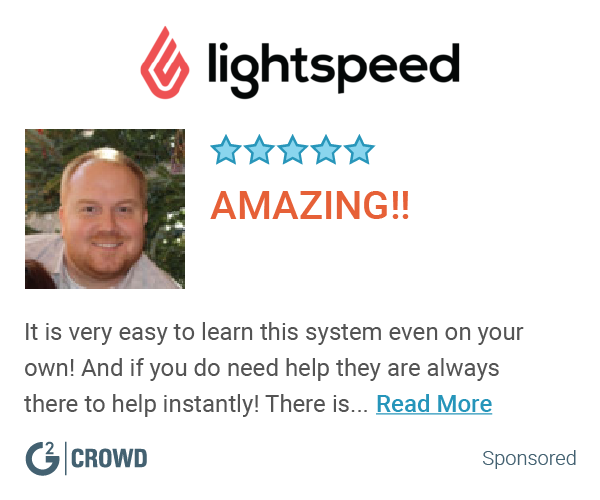 Faster checkouts mean happier Customers! Sometimes, we experience connectivity issues that are difficult to trouble shoot between infrastructure (network) or software. QuickBooksPOS is essential for running a small retail business. Automation of the sales receipt process. Standardization and integration with accounting system enhanced. QuickBooks POS is fairly easy to use after you get the hang of it. It ca be a bit of a learning curve to lear QuickBooks POS. Definitly give it a shot. Can be touch to adjust to at first but in the long run is definitely worth using. We are able to store and manage almost all information for the company. It appears to be comprehensive and my CPA uses it. It is complicated. When my CPA is not around, I cannot do payroll functions as it is not intuitive. Also, from the day I first loaded it into my laptop, it loads very, very slowly (sometimes takes and hour to fully load) and when it is running, the entire laptop runs very slowly. My book keeper and CPA know how to use it much better than me. But it is hard to just open and figure out. In my business, it does accounts and payroll. "quickbooks is a helpful software"
The thing i like best about quickbooks it that is keeps a record online of all of your transactions. I don't think there is much to dislike. The problem that may come to my mind is that quickbooks has a function that classifies different similar sales into categories, and this has the potential to go wrong I suppose. I would say that one can use quickbooks if they need a pos that will be able to be accessed online yes. I love the user interface. It's a very simple and easy to use program. Most things are quite intuitive and easy to find. Occasionally you do have to jump through some hoops to find what you're looking for, but that is the only thing I am unhappy with. If you need a good point of sale program that can also keep track of employee time cards and inventory, this is the way to go. This program helps us to keep track of our employees' time cards, product sales, and inventory. It has great notifications that tell us when we are low or if we are off. The ease of use. However, I also like how clean and straightforward the interface is. All the information is clearly labeled and accessible. Makes accounting for our company completely simple, accounting knowledge is not even needed. How difficult it is to integrate with CRM systems. My company is having trouble finding a CRM system that integrates with QuickBooks in a cost efficient manner. Our entire process of accounting has been completely simplified. Great tool for any business looking to simplify accounting. "Great until it's not great! " "Quickbooks is easy to use"
Easy Set up and inventory tracking, everything you need to run a bussiness. "GREAT and EASY TO USE FOR ALL EMPLOYEES"
Be prepared to be frustrated at times. When they do an update it usually messes up many features for many days. Billing is easy when it works. A somewhat accurate accounting of a customer record. "it is a great POS system"
I like that you are able to build your own inventory or import an existing. It is hard to teach yourself the new system with little instructions. * We monitor all QuickBooksPOS reviews to prevent fraudulent reviews and keep review quality high. We do not post reviews by company employees or direct competitors. Validated reviews require the user to submit a screenshot of the product containing their user ID, in order to verify a user is an actual user of the product. Hi there! Are you looking to implement a solution like QuickBooksPOS?